This is to be used in case we can not reach you. such as Gmail, Yahoo Mail. Just for our translating and designing reference. e.g. "3rd dan - Sandan"
let us know it. e.g. "Kancho", "Rijicho"
If you know the applicable Japanese title for the English title. please send the image file via e-mail to us later. For details, please refer to the confirmation e-mail. please provide some description of them. 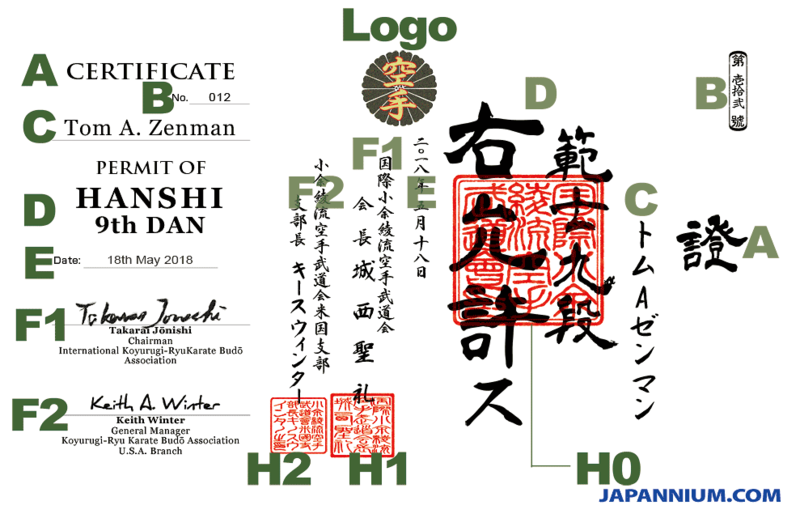 Japanese Translation and Design - JAPANNIUM English to Japanese translation and art designing firm for personal use and business.